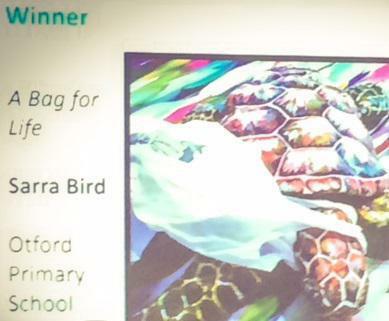 Ms Bird is the winner of the Teacher's Portfolio ( Turners Contemporary Prize) CONGRATULATIONS MS BIRD! We are thrilled and very proud to announce our very own Ms Bird has WON! What fantastic news and a wonderful credit to the hard and creative work of Ms Bird. We wish Ms Bird the very best of luck as she attends the final round at Canterbury Christchurch University this afternoon. She has been entered into the final round of the Teacher's Portfolio ( Turners Contemporary Prize). We are delighted that she has been able to showcase a project which includes Art from our Year 6 children. The theme of the entries was " Make a Change." 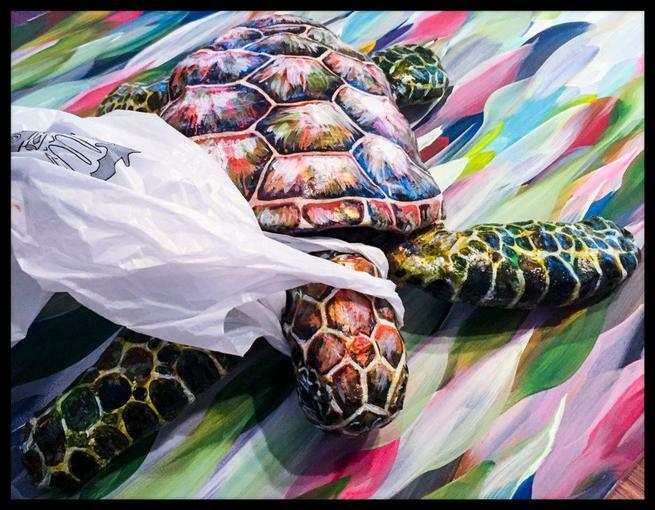 The children looked at the impact of the environment on animals and Ms Bird has entered a sculpture of a sea turtle entangled in a plastic bag. We will of course let you know should she win, even though she is already a winner at Otford!